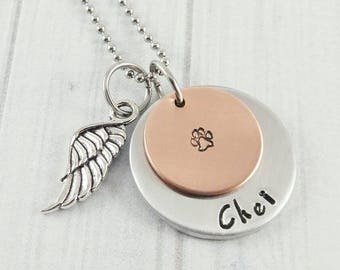 This piece of custom cat memorial jewelry was created with all those lovely kitties in mind, who I have been privileged to share my life with. 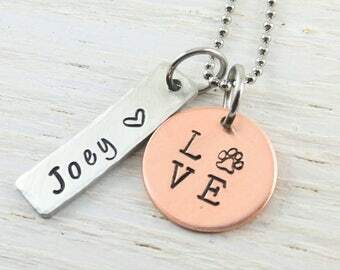 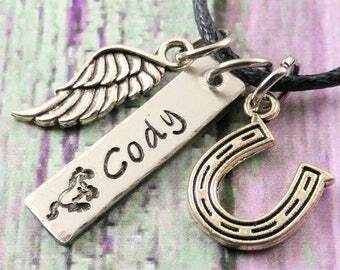 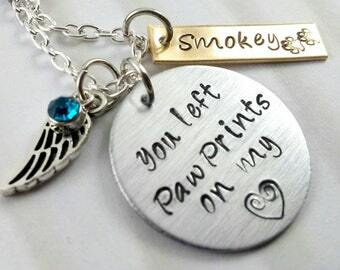 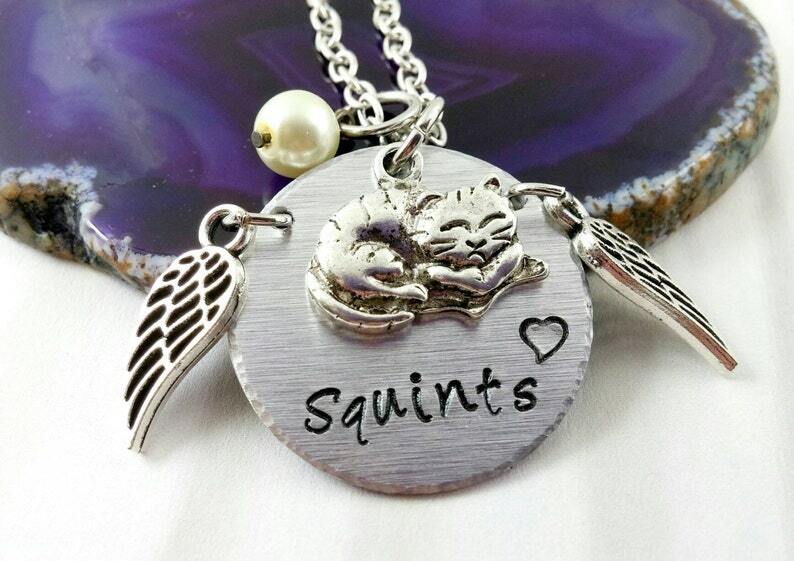 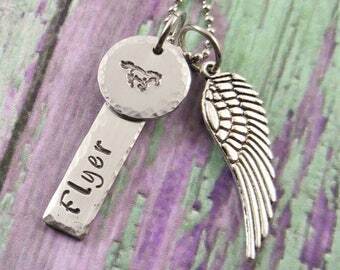 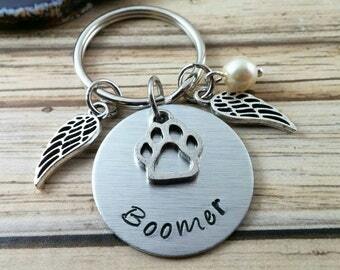 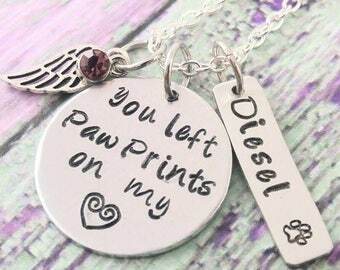 Pet loss is never easy but this custom pet necklace would make a perfect cat loss gift. 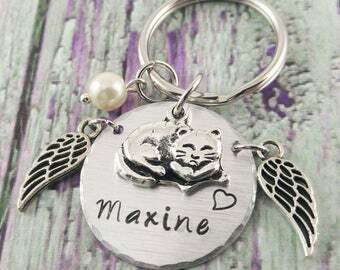 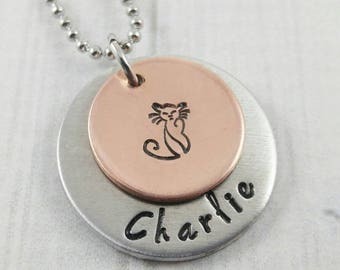 I used a soft brushed 1" aluminum disc for the hand stamped cat name; and a lovely sleeping cat silver tone charm. 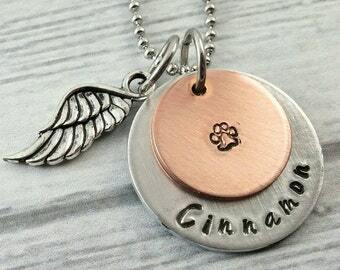 I attached two small angel wings to the disc. 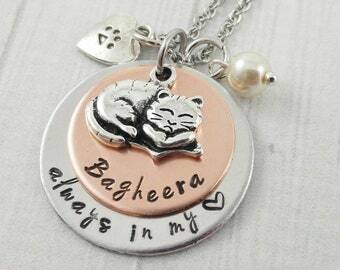 Alongside this pendant I hung a white glass pearl. 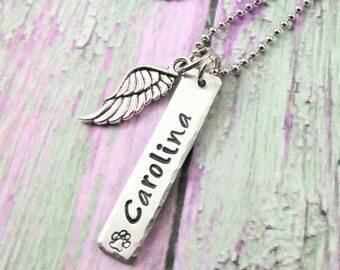 The cable chain is solid stainless steel, please choose your preferred length in the drop down menu.